Think of a formal yard or garden, and you likely envision rows of neatly trimmed bushes along meandering walkways and sitting areas. Homeowners spend a ton of money, time and resources in an attempt to recreate that image. But another equally beautiful option for your home is a wild garden. What is a wild garden? A wild garden can carry a variety of definitions. For some, it means limiting the amount you tame your plants, letting them become what others might define as overgrown and unsightly. Others might associate wild with the types of plants you choose for your space. If you think about your walks in the fields or forests where Mother Nature is the only landscaper, plants are “overgrown and unsightly” around every corner. So, it might be time to change your definition of what makes a desirable garden space. The idea of a wild garden is to create a more naturally flowing space with less rigid lines and rules. There are many benefits to allowing your garden to go wild. Consider the nature of the plant and remember that pruning is something we do in our backyard, but it is not the norm in a plant’s natural habitat. We feel we need to confine plants, because that’s what the magazines show. Allowing your plants to become shaggy around the edges means a whole lot less maintenance for you, which is a huge advantage if you prefer not to spend every waking moment tending to your garden. Another benefit of a wild garden is that it becomes a more natural garden. We spend time in nature because we connect with the sights, smells and surroundings that nature provides. Somehow, we lose those same feelings when we bring plants into our yard and then contour them into something they’re not. 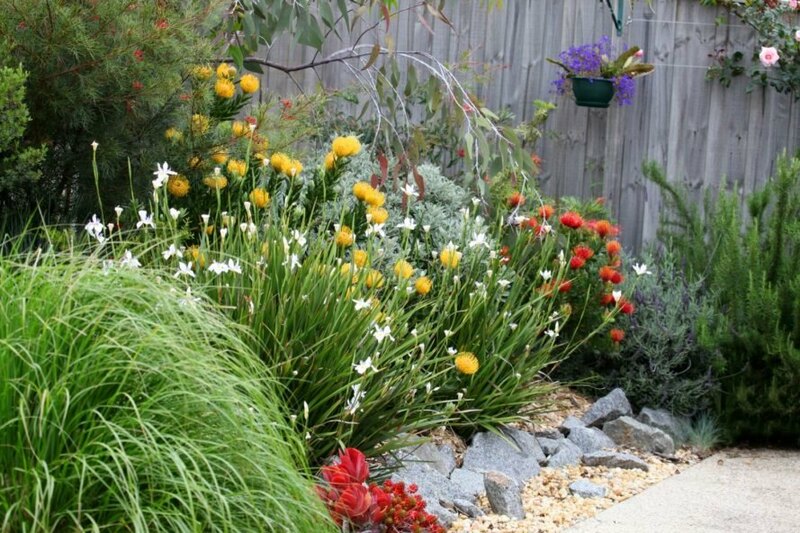 Instead, allow your plants to take a more natural growth pattern and retain the essence of nature in your yard. Plants that are native to your area are going to grow the best. Careful selection of your plants in the beginning will allow for a worry-free space as your garden grows. Talk to the local nursery owner. Stop by the garden center. Read books and scour the internet. After you hunt down the plants indigenous to your area, create a plan on paper or using a graphic design program on the computer. Be sure to allow for the maximum growth of the plants, so you don’t have to continually trim them back. In addition to low-effort growing success, native plants also do not require chemicals to fight off insects and disease. Plus, they often don’t need fertilizer, because they are naturally suited for the native soil. You can even source your native plants directly from nature by selecting seeds or small plants. Check with your local authorities before harvesting from forests or other areas. If nothing else, observe the plants in your area and purchase the same type of ferns, sunflowers or wildflowers that you see growing naturally. Another way to bring the wilderness into your yard is through natural elements. Think of an eroding cliffside with protruding rocks and plants that have rooted themselves in the unstable soil. Bring that idea into your yard with stone walkways or tiered river rock stairways surrounded by plants. The goal of creating a wild yard doesn’t mean you have to have a completely untamed space of rambling branches and invasive blackberries. 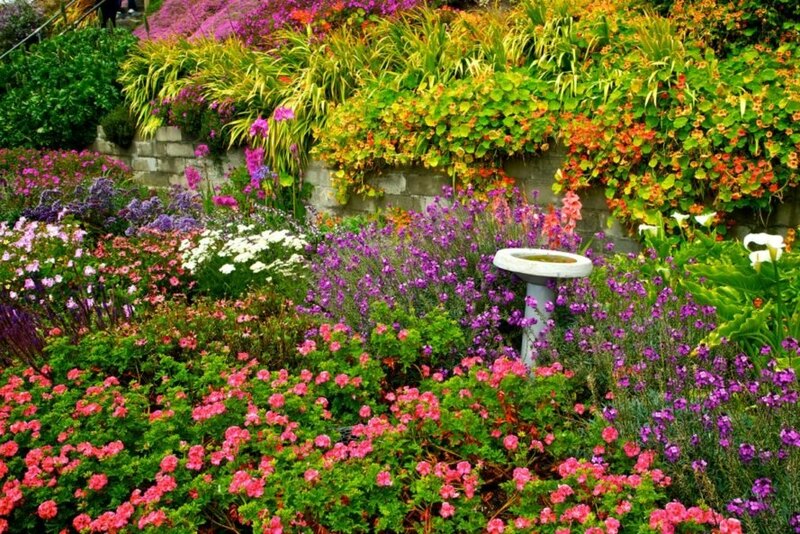 Instead, segment your yard into areas that provide for the naturally wild look combined with more traditional or formal spaces for sitting or strolling. 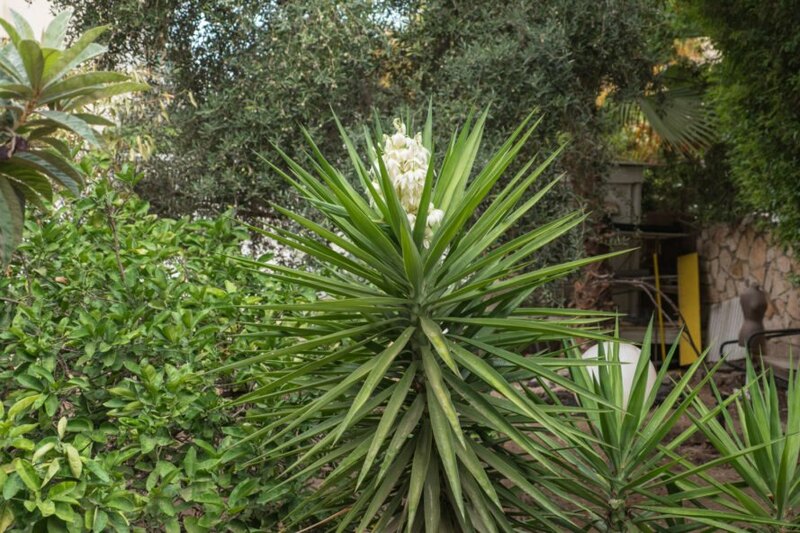 Bring in the pristine yard if that’s your thing, and mingle it with some savage plants. Manicure the stone patio, but allow the bushes behind the arbor to go wild. The point is that wild doesn’t have to be neglected. Simply work the look into your design. Wildflowers are often seen as invasive in the restrictive confines of a yard, and they are. But they are also an amazing way to bring the colors and calming visuals of nature into your space. 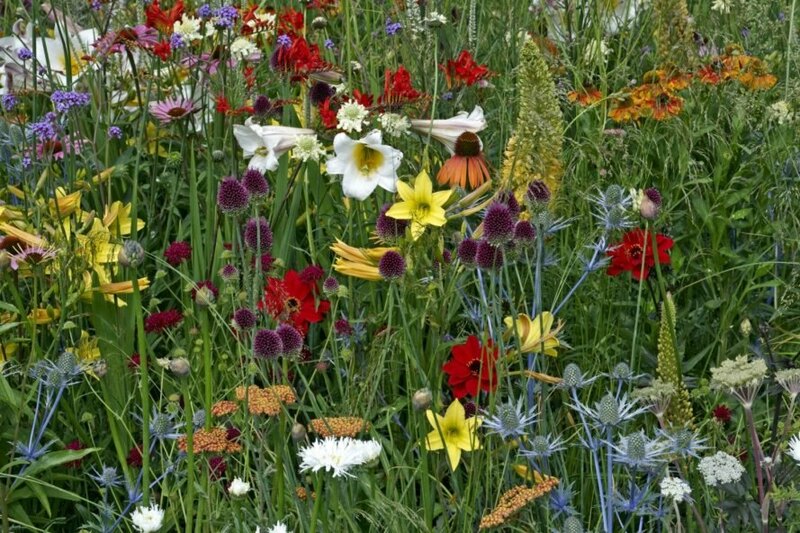 Grab a seed packet and spread the colorful joy throughout your yard, or mostly confine them to one area with a border. Remember that wildflowers are seasonal, so you’ll also want to incorporate other plants that will fill the space when the wildflowers aren’t in bloom. 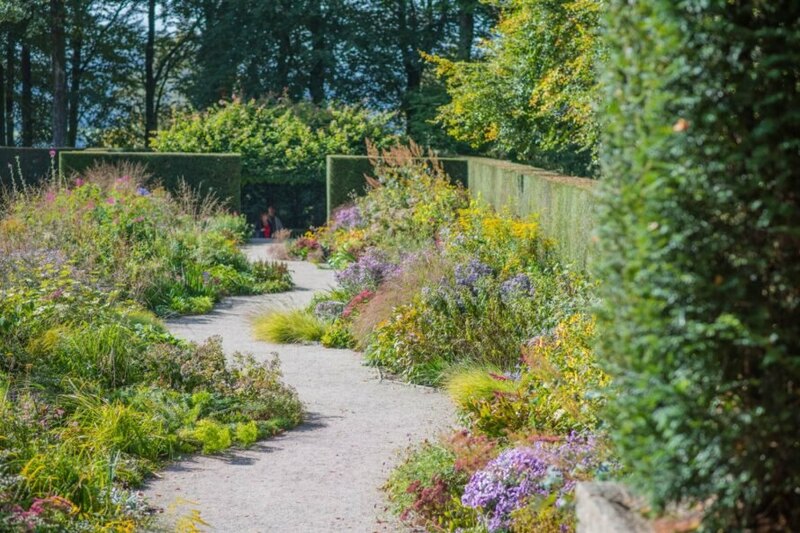 Traditional gardens are tightly focused on spacing. We don’t want the fruit tree to overshadow the plants below it. Those daylilies might get too big and push up to the hyacinth next door. Oh no! Again, envision the way plants grow in nature, and replicate it in your yard. Plants have a way of naturally providing for one another or pushing out unwelcome invaders. If you copy what you see in nature, your plants will thrive in a natural way, meaning that they will overlap, procreate and become entangled one into another. Although this goes against our structured (and separated) image of a neat garden, the wildness of an unregimented garden allows nature to show her best self. It just might be time to replace the manicured landscaping for something more natural. Wild gardens allow gardeners to let their space grow naturally, perhaps with native plants or lush wildflowers. Setting the garden free can save you time, money and resources. Native plants are a great option for a wild garden, as they will naturally thrive. Add natural elements, like stone and wood, to complete the look. Create a unique look by mixing pristine and savage garden features. 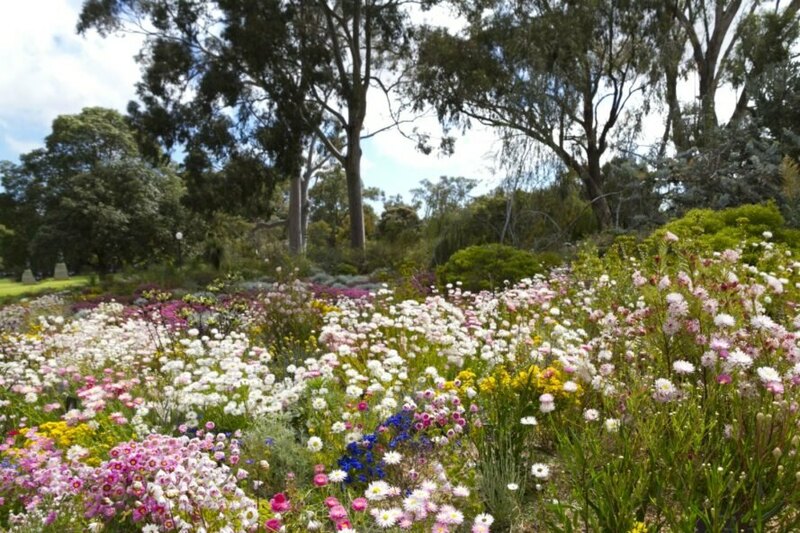 Wildflowers are a simple, attractive way to boost your garden. Let go of all the spacing restraints you have learned. 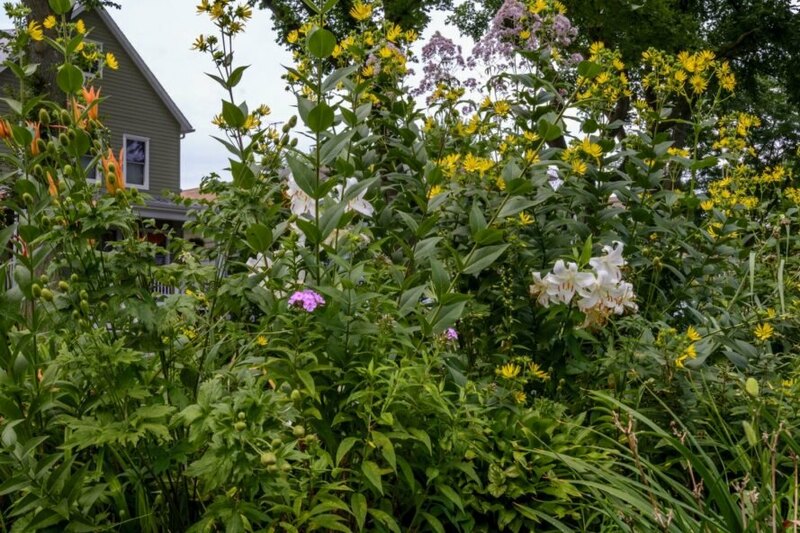 How will you embrace the wild garden in your yard?